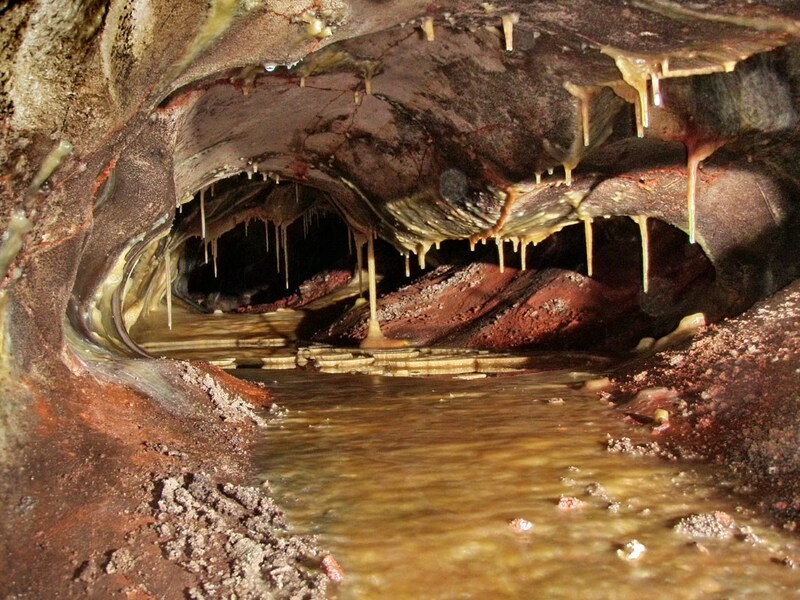 Subsurface Karst Features - Welcome to the Paha Sapa Grotto! 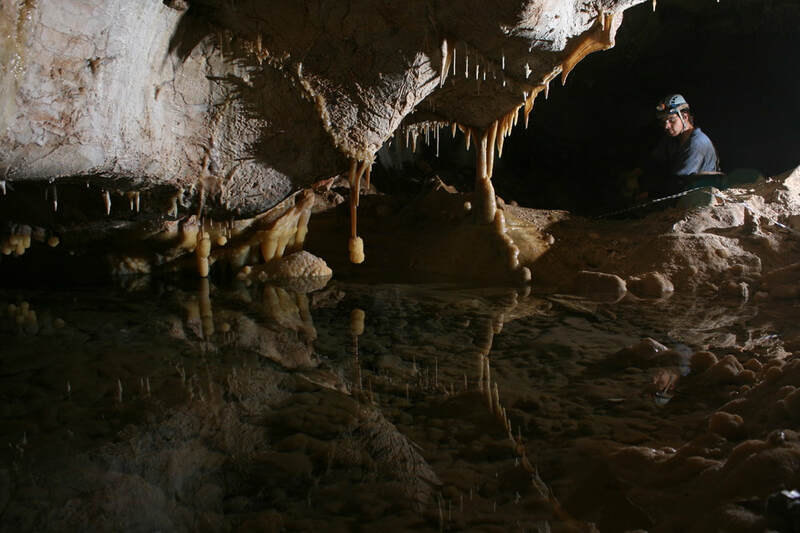 Here are just a few of the subsurface karstic features seen in Black Hill caves with their generally accepted definitions and a few local photographs illuminating their characteristics. Click on the images for a closer look. ARAGONITE – A relatively uncommon crystalline form of calcium carbonate (CaC03) that is denser than calcite and which has an orthorhombic crystal structure. 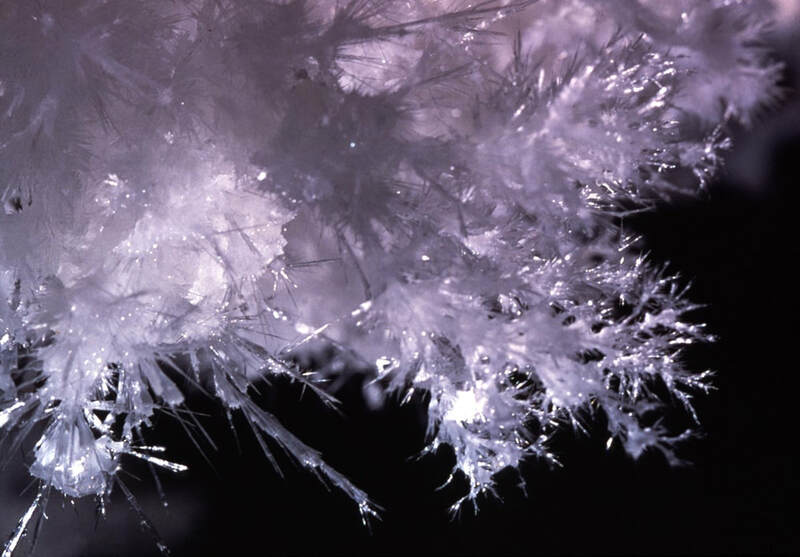 It is one of the principal minerals in frostwork and precipitates through evaporation as solutions become calcium depleted and magnesium enriched. BOXWORK - A type of mineral structure formed by erosion/dissolution rather than accretion, sometime found in caves and erosive environments. Typically consists of a network of thin blades of calcite or gypsum etched out in relief on the limestone walls and ceiling of a cave. CALCITE - The most common of the calcium carbonate (CaC03) minerals and the main constituent of limestone. it has several different crystal forms, all within the rhombohedral subsystem. COLUMN - A speleothem from floor to ceiling, formed by the growth and joining of a stalactite and a stalagmite, or by the growth of either to meet bedrock. DOME - A large hemispheroidal hollow in the roof of a cave, formed by breakdown, dissolution or weathering, generally in mechanically weak rocks, which prevents bedding and joints from dominating the form. 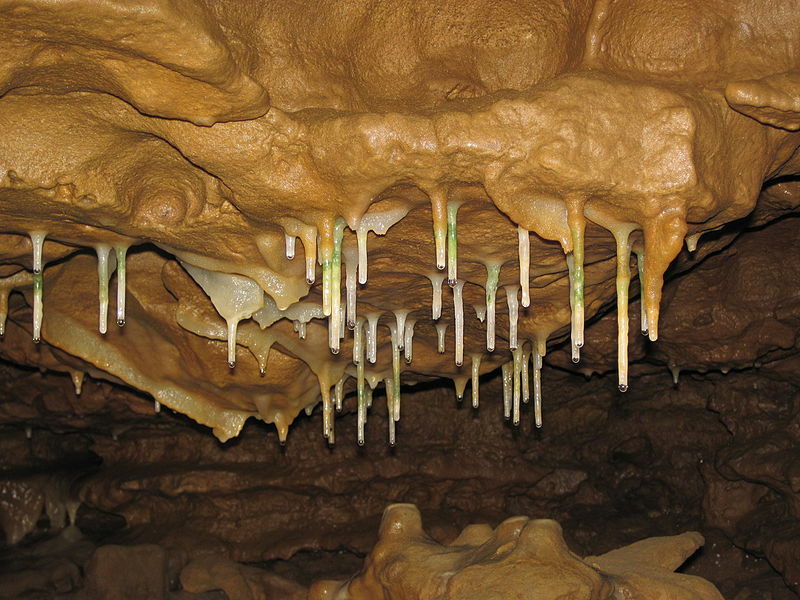 DRIPSTONE - Calcium carbonate deposited from water dripping from the ceiling or wall of a cave or from the overhanging edge of a rock shelter; commonly refers to the rock in stalactites, stalagmites, and other similar speleothems; in some places composed of aragonite or gypsum. 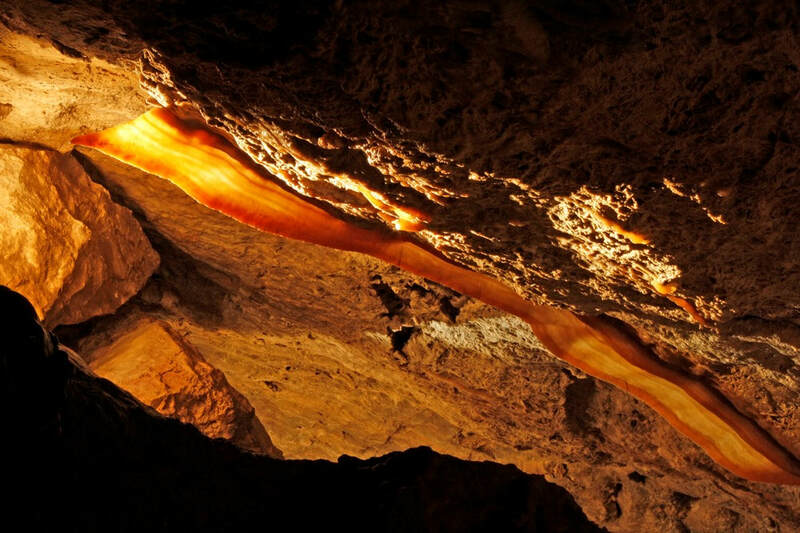 DRIPSTONE CURTAIN – A speleothem in the form of a ribbon or folded sheet, often translucent and resonant, hanging from the roof or wall of a cave. FLOWERS - (or Cave Flowers) A speleothem composed of long needle-like crystals situated in clusters which radiate outward from a common base. The "needles" may be quill-like or feathery. Most are made of the mineral aragonite (Ca·Mg(C03)2), although some noteworthy examples are composed of gypsum (CaSO4·2H2O). These features are more properly termed “Anthodites”. 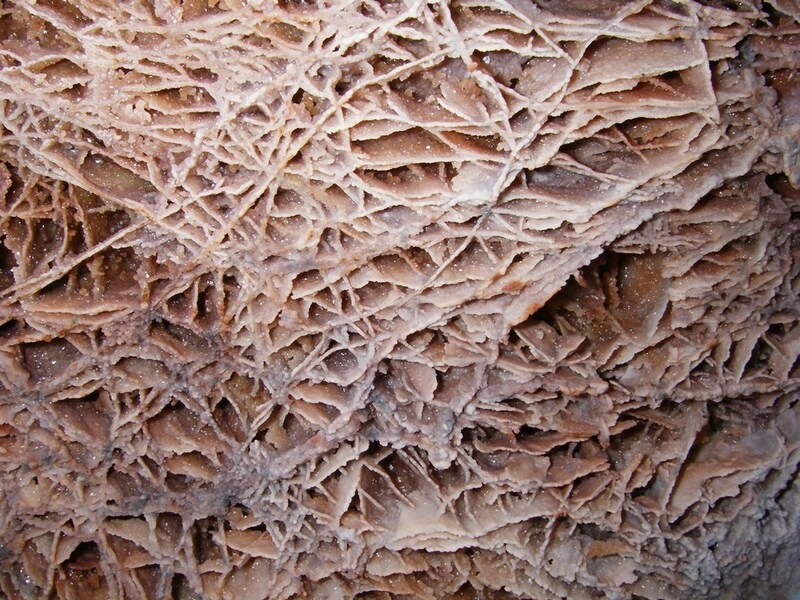 FLOWSTONE - Deposits of very thin films of calcium carbonate, gypsum, and other mineral matter which have accumulated on the walls or floors of caves at places where water trickles or flows over the rock. FROSTWORK - a type of speleothem with acicular ("needle-like") growths almost always composed of aragonite or calcite replaced by aragonite. A type of anthodite (see Flowers above). In some caves frostwork may grow on top of cave popcorn or boxwork. GROTTO - A room in a cave of moderate dimensions but richly decorated. Also refers to an NSS chapter. 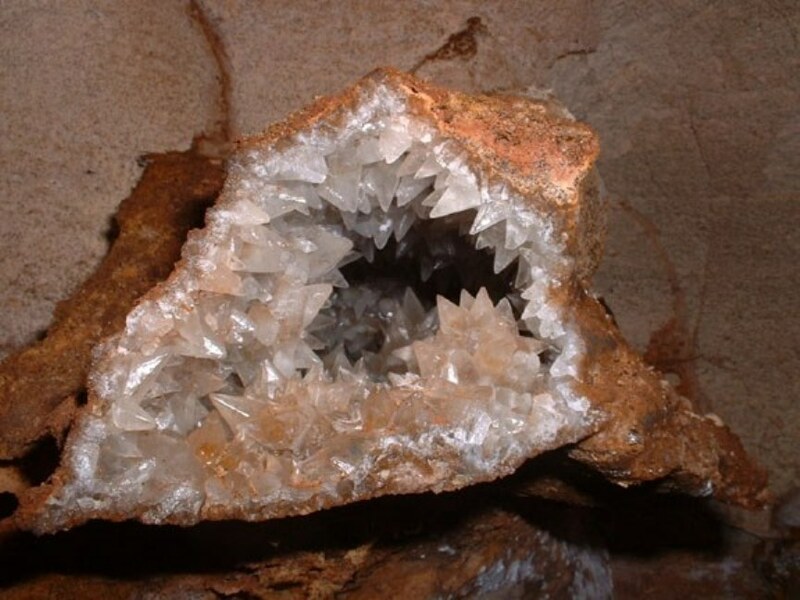 GYPSUM - The mineral hydrated calcium sulfate (CaSO4·2H2O) which is very soft and can sometime crystallize in flower-like growths (called anthodites or flowers). HELICTITE - A speleothem, which at one or more stages of its growth changes its axis from the vertical to give a curving or angular form. Composed of a curved or angular twig-like lateral projection of calcium carbonate having a tiny central canal. Usually very delicate and generally quite rare. LOGOMITE - A hollow, rough surfaced stalagmite of problematic origin. They have the appearance of a volcanic spatter cone, and may be due to the splashing of sediment laden solutions during speleothem formation. PHREATIC ZONE - The zone where voids in the rock are completely filled with water below the water table, in which water moves under a hydraulic gradient in response to a hydrostatic head. 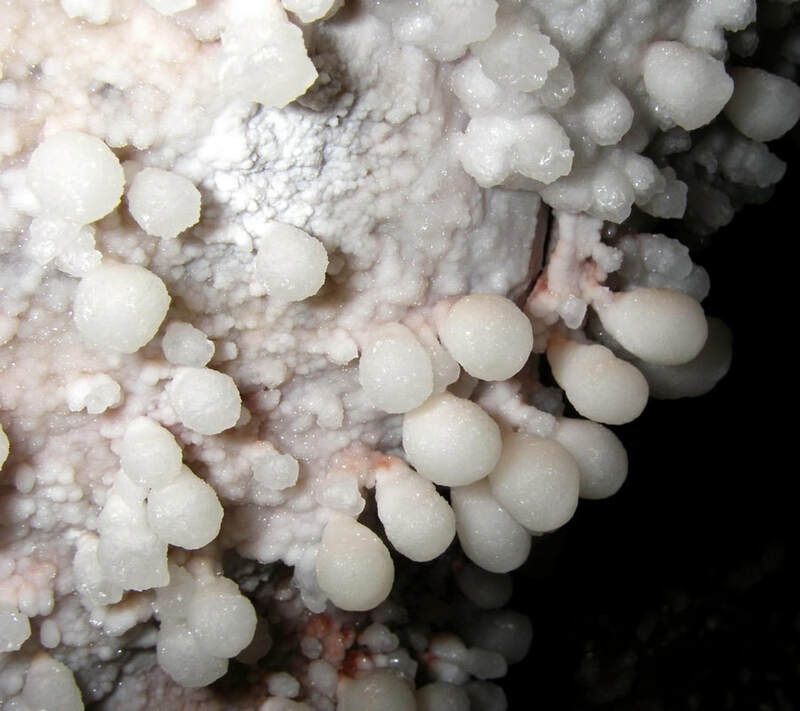 POPCORN - Cave popcorn, or coralloids, are small nodes of calcite, aragonite or gypsum that form on surfaces in limestone caves. They are one of the commonest types of speleothem. RIMSTONE - A deposit formed by precipitation from water flowing over the rim of a pool. SODA STRAW- A long, thin-walled tubular stalactite less than about 1 cm in diameter. Generally very fragile and found to a greater or lesser extent in most Black Hills caves. 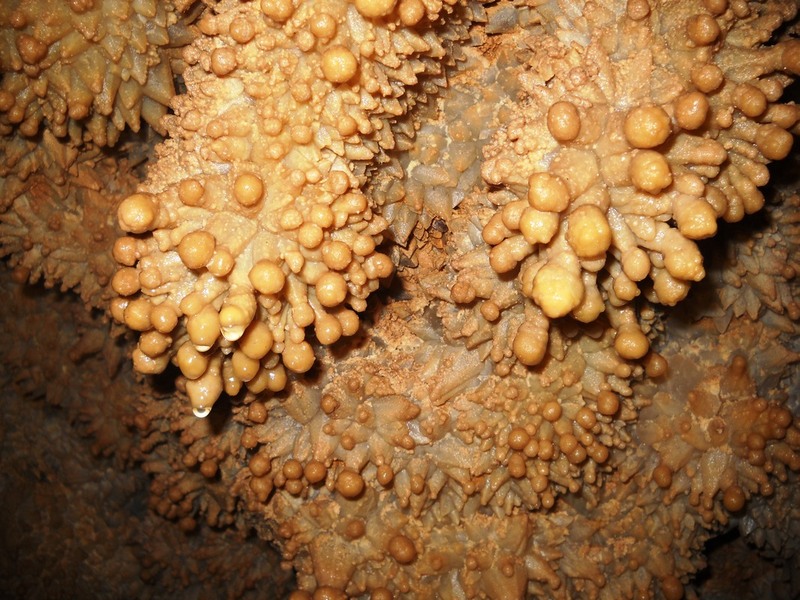 SPELEOTHEM – A general term for cave formations, such as stalactites and stalagmites, which are secondary mineral deposits formed in a cave. Most of these features form above the water table and are considered to be vadose in origin. STALACTITE - A speleothem hanging downwards from a roof or wall, of cylindrical or conical form, usually with a central hollow tube. STALAGMITE - A speleothem projecting vertically upwards from a cave floor and formed by precipitation from drips. VAD0SE ZONE - The zone where voids in the rock are partly filled with air and through which water descends under gravity. 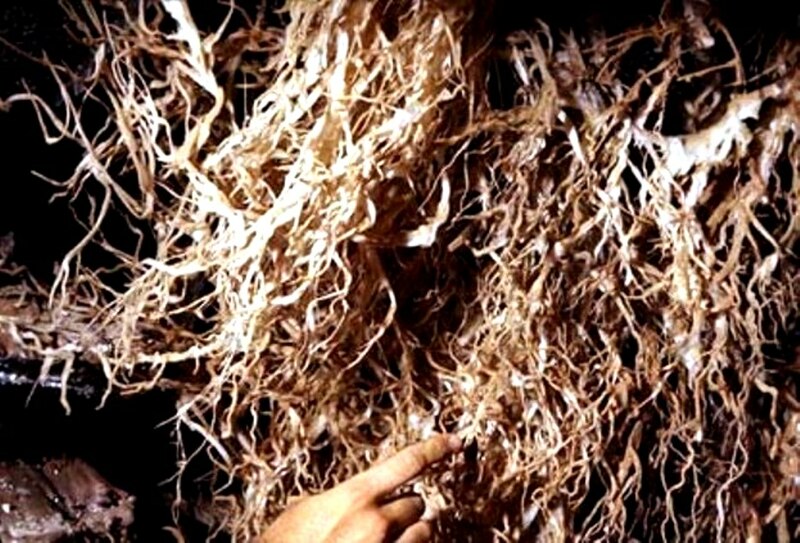 The labelled Photograph below is from Cave photographer Dave Bunnell's Under Earth Images Wikimedia Commons site, which shows most of the other major speleothems in a superbly decorated chamber. The photograph is not from a Black Hills cave but is too good to pass up sharing. 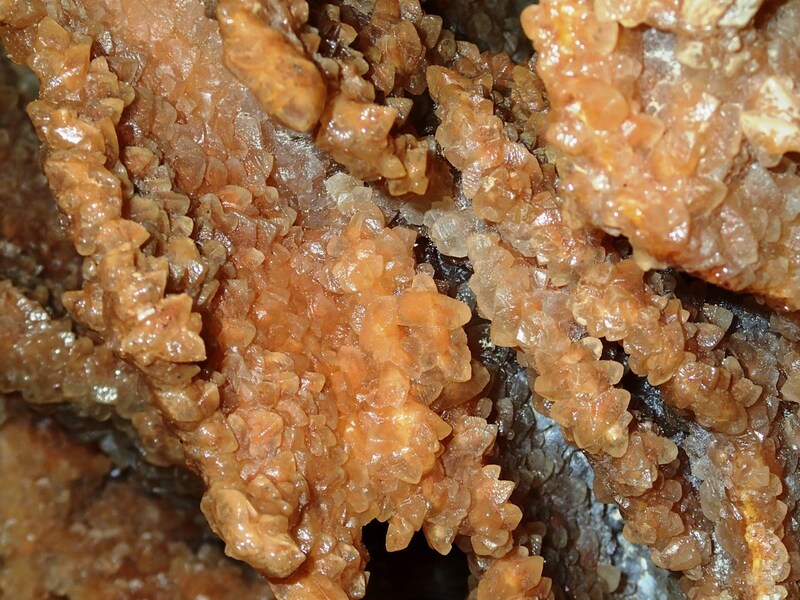 For more information about Cave Minerals, click on the following link to navigate to the minerals pages.